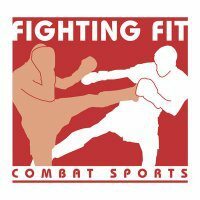 Welcome to Fighting Fit Combat Sports, an association of gyms specialising in Mixed Martial Arts (MMA), Kick Boxing, Grappling and BJJ around Staffordshire, Shropshire and Cheshire. Headquartered at the well equipped full time “Gee’s Gym” in Stone, Fighting Fit has been training beginners and experienced athletes alike for over 3 decades in a large selection of combat martial arts. If you are interested in joining us, please click on the links above to view our range of classes, or Contact Us to find out more.